This small chapel, built in 1897 by cleric Ovide Charlebois, was the first Roman Catholic church in Manitoba’s north. It became a base from which Charlebois undertook pioneering missionary work among the region’s Aboriginal peoples. Built using logs floated down the Saskatchewan River from Cumberland House, and glass and shingles brought from Prince Albert, the structure was replaced by a new facility in 1918. It has been refurbished as part of the Manitoba Prairie Churches project. It is a municipally-designated heritage building. 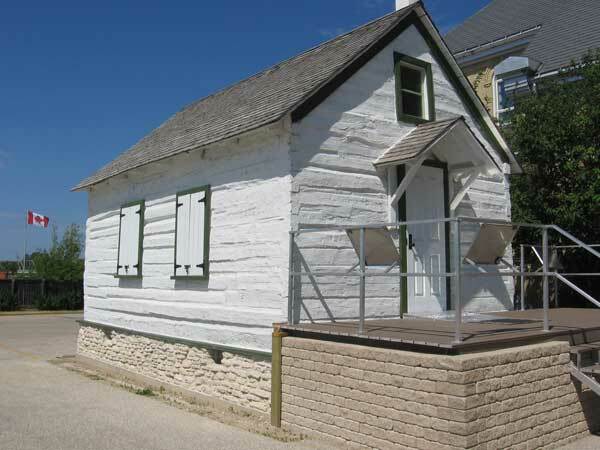 Charlebois Chapel, 108 First Street West, The Pas, Manitoba Historic Resources Branch.